The multi-award winning National Theatre production is on in Bristol – but does it live up to the hype? 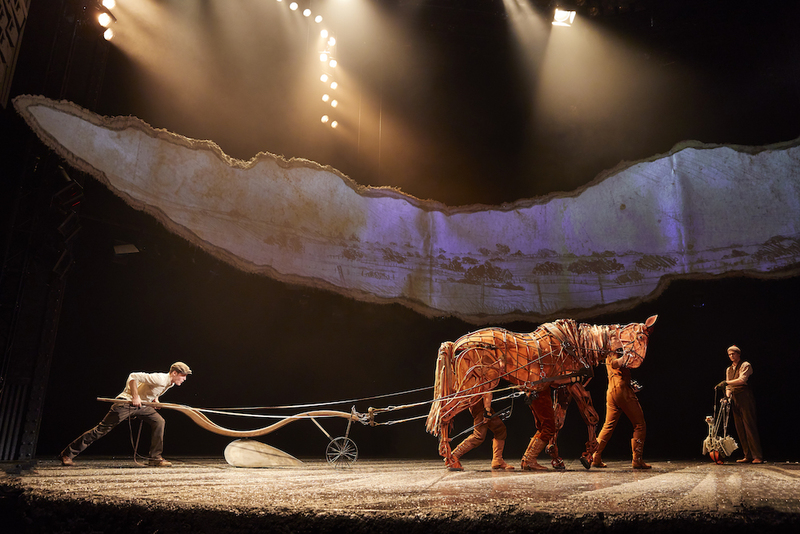 In ancient times, a hippodrome was a stadium for horse racing – a place of thrilling entertainment – so the glorious, gilded Bristol Hippodrome could not be a more fitting venue for the National Theatre’s spectacular tenth-anniversary touring production of War Horse. 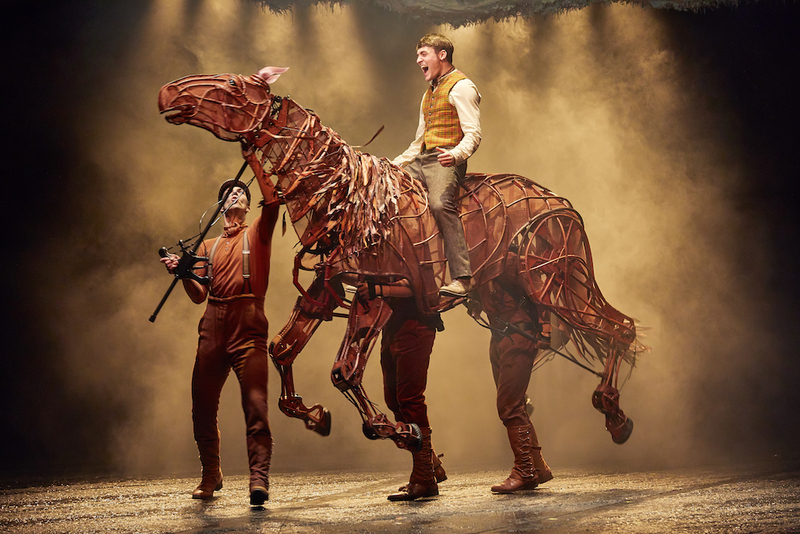 Based on Michael Morpurgo’s children’s novel, the story centres around the relationship between teenage farm boy Albert, and his young horse Joey. 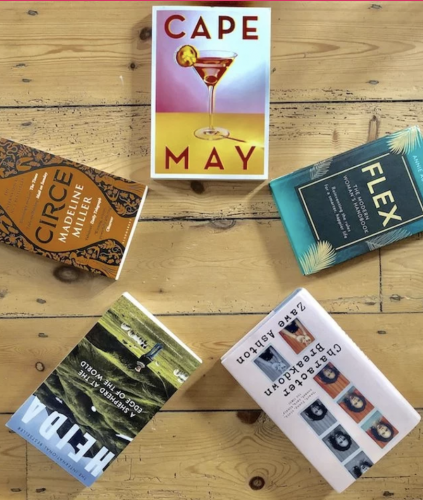 The bond between them is instant and deep but the joy of their idyllic West Country life is shattered by the outbreak of war in 1914. When Albert’s dad sells Joey to a cavalry officer, Captain Nicholls, a heartbroken, Albert – too young to enlist – vows to track Joey down one day, and bring him home again. Nicholls and Joey are soon in front line of raging battles in northern France, charging at the enemy alongside their fellow horses and soldiers. Joey is captured by the Germans and put to work behind ‘enemy’ lines, collecting the injured from the battlefield, and hauling cannons across the shattered landscape. He is befriended and cared for by a German soldier, Friedrich, and a young French girl, Emilie. 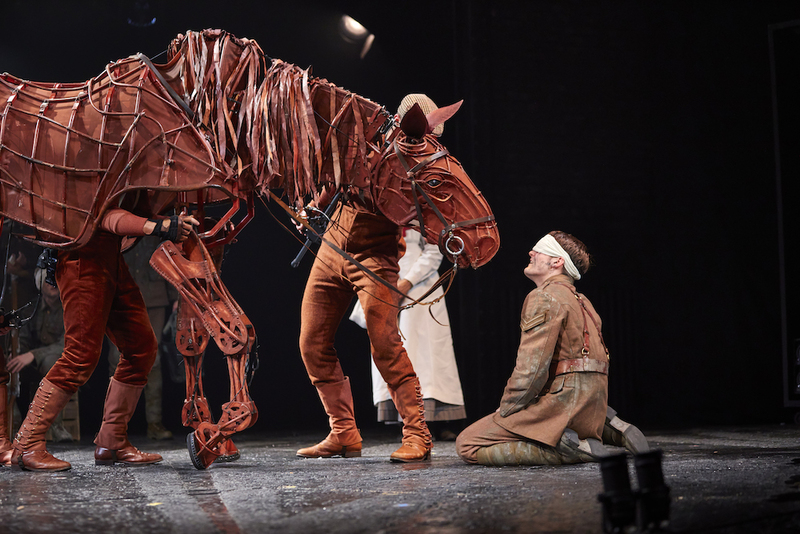 Unable to bear the separation from his beloved horse, Albert lies about his age and enlists, setting out on a quest to find Joey that will take him on a horrifying journey through war-torn France to adulthood. No spoiler alert here, you’ll have to see the show to find out whether the two are ever reunited. 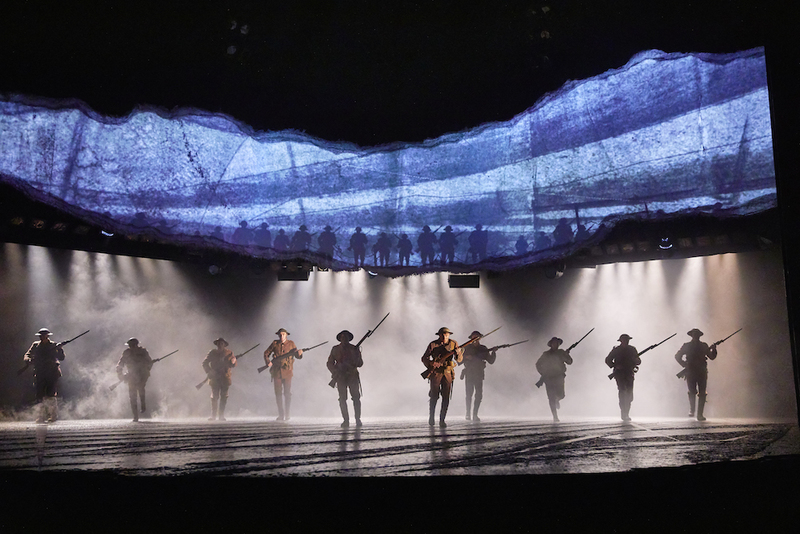 With the simplest of staging – a hung backdrop resembling a torn page from a sketchbook with ever-changing hand-drawn images projected onto it – the stars of this production are undoubtedly the life-size puppets, each animated by several actors. Within seconds, all belief is suspended, and the audience can be forgiven for thinking that there are real animals onstage – each snort, stamp, flick of the ears, and flap of wings (yes, there are birds too!) is so life-like. Special mention should be made of Bob Fox’s masterful solo singing performance – his wonderful voice threads throughout the changing scenes of the story, seamlessly weaving the narrative together. 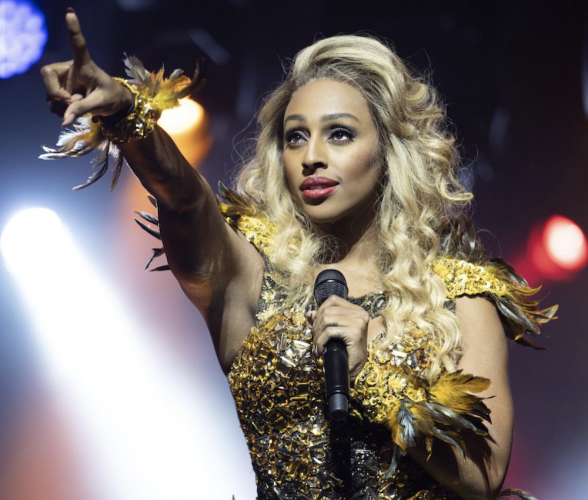 With not one, but two standing ovations on its opening night – it was the tenth anniversary of the very first show, to the day – this production is an imaginative and timeless tour de force. 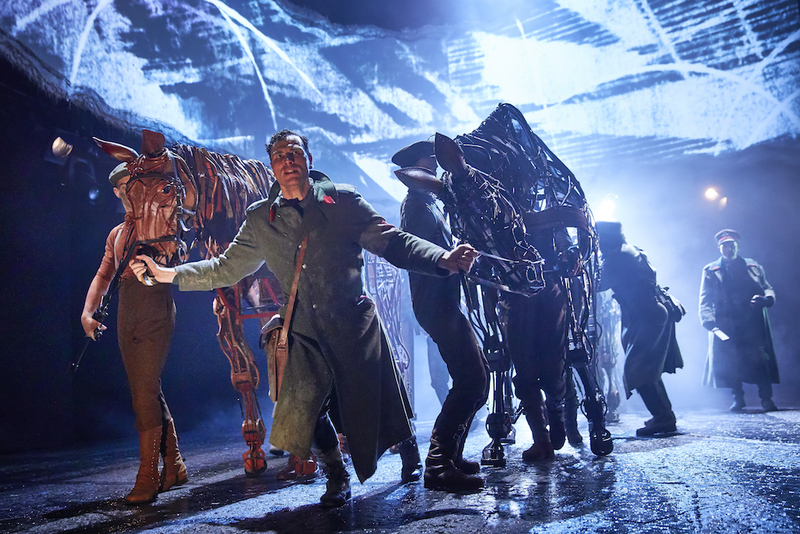 If you haven’t seen War Horseyet (and even if you have, some people in the audience were on their third run!) it really is not to be missed: unbearably poignant (take tissues, though it’s not a blub-fest – there is laughter too), thought-provoking, and ultimately uplifting, this multi-award-winning show will amaze, astound, and entrance young (not the under 10s though) and old, and all those in between. Review by CW (with borrowed stilettos). 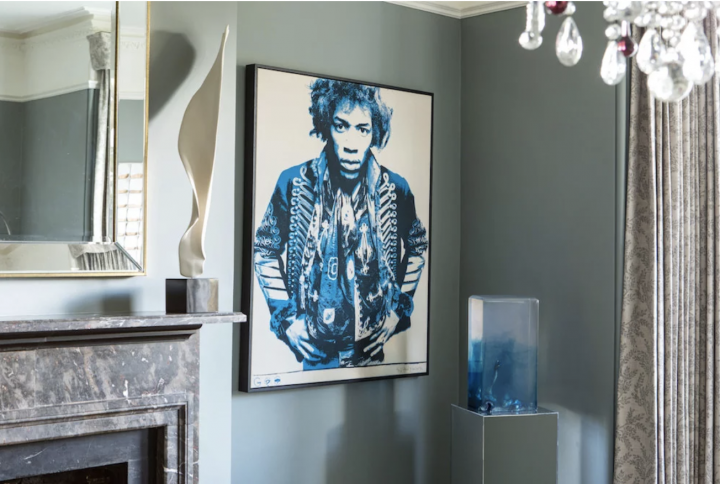 Photos by Birgit & Ralf Brinkhof. 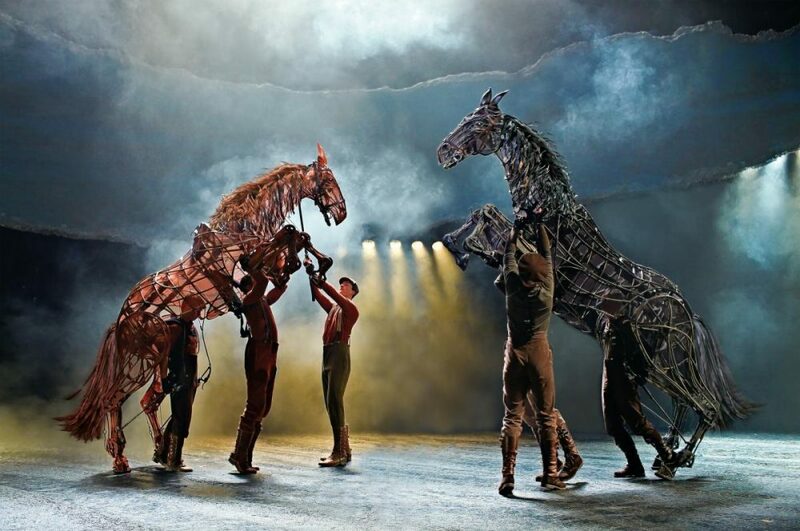 War Horse is on at the Bristol Hippodrome until Sat 11 Nov. Bristol Hippodrome, St Augustine’s Parade, Bristol BS1 4UZ. Tel 0844 871 7627. Tickets.